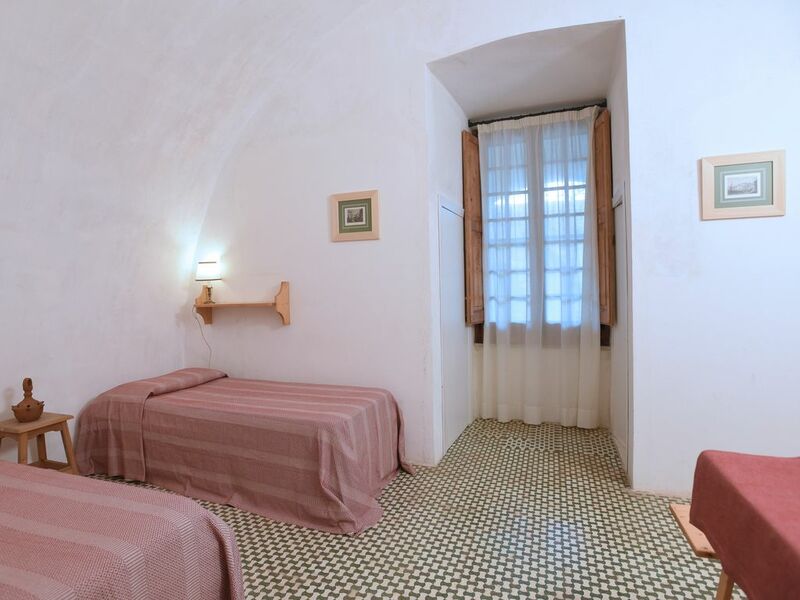 In the rooms of a majestic fortified building, overlooking the inner courtyard, you will experience the unique experience of a home of old times, being able to relax in large spaces outside or in the small quiet garden. A stone's throw from the most famous villages of Salento, you can experience the festivals and our beautiful sea BLUE FLAG and THREE FLY 2018. Living in the Abode, we can give you - if required - any useful advice for your holiday in Salento to be special. Also remember that: • there are stairs in the Dimora; • the water is not drinkable, as it is supplied by one of the ancient cistern of the Dimora which collects rainwater; • hot water is not supplied by a heating plant, but by a solar / electric centralized water heater serving multiple Guests; therefore, availability could be limited and with no immediate waiting time; • dishes, crockery and cooking utensils are provided; • there is no television; • there is no hairdryer; • private parking not available; • it is requested to clean before departure. Discounts are available for stays equal to or greater than fourteen days. Finally, it should be noted that in the Borgo the separate collection of door-to-door waste is in force: methods and days of collection will be brought to the attention of our Guests upon arrival. Therefore, compliance with the rules on the correct conferment of waste is requested. Un salto indietro nel tempo. L'appartamento è semplice ma accogliente, il servizio di alta qualità. Sono evidenti la cura e l'attenzione dei proprietari nel mantenere intatta la bellezza del castello utilizzando materiali e forme della tradizione e dell'artigianato del posto. I bellissimi spazi esterni consentono di godere del fresco della zone d'ombra da soli o in compagnia degli altri ospiti del castello. La zona è bella e offre, oltre al mare incantevole, ottimo cibo e tanti bei posti da vedere.